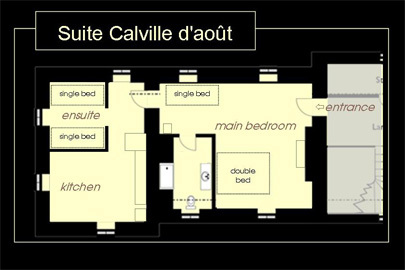 The east wing on the second floor contains our spacious Suite Calville d'août. 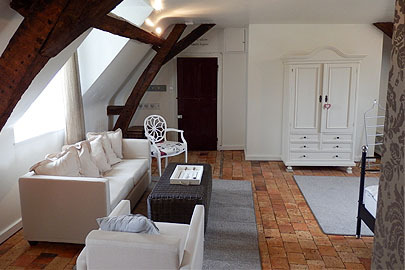 This suite has a main room (39m2) with a double bed and a single bed. And has a seating. 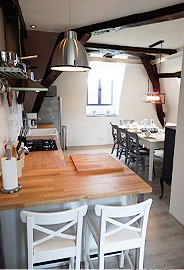 Attached to this main room there is a nice large kitchen with a dining table (20m2). 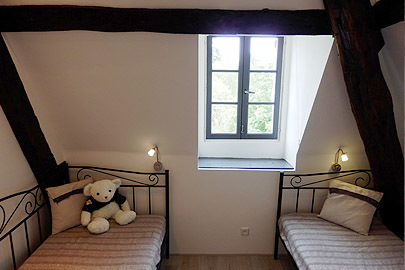 And we have a small but nice 'ensuite' room (7m2) with two single beds. And of course a large private bathroom with shower and toilet. 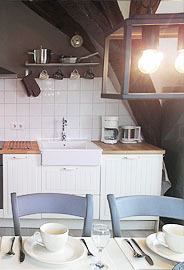 A nice seating, up to 5 people is at your disposal in the main room. 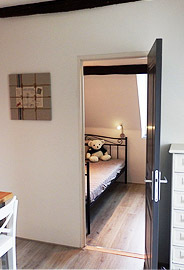 There is a double (160x200) and a single bed (90x200). Also there is a TV and DVD player (a selection of dvd's is available) and a few local TV stations. 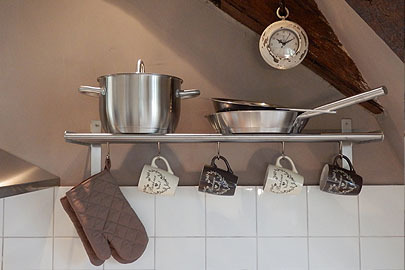 The large kitchen it is easy to make a delicious breakfast or diner. 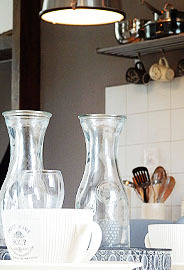 "Fresh Bread service: to start the morning with fresh croissaints and bread we have in the high-season (July and August) a free fresh bread service (at costprice). 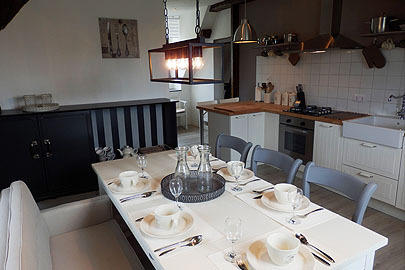 In the kitchen there is a large dining table which seats for up to 6 people. 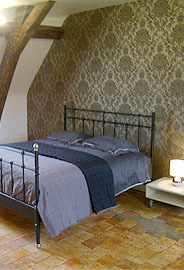 A nice cossy bedroom with two single beds (90x200) is available for you in the ensuite bedroom.